Care Day is the world’s biggest celebration of children and young people with care experience. Care experience includes children and young people who are or were cared for by parents or other family members with the support of social workers; by foster carers; or children and young people from children’s homes and residential units. Here we celebrate the work of the FJYPB, which includes those with care experience. We are the Family Justice Young People’s Board (FJYPB). 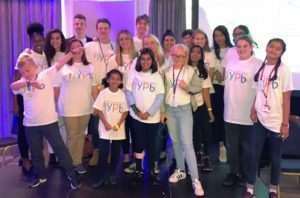 We are a group of over 50 children and young people aged between seven and 25 years old who live across England and Wales. All of our members have either had direct experience of the family justice system or have an interest in children’s rights and the family courts. We have a direct say on the way in which the services within Family Justice are run and on the support, they provide to children, young people and their families. 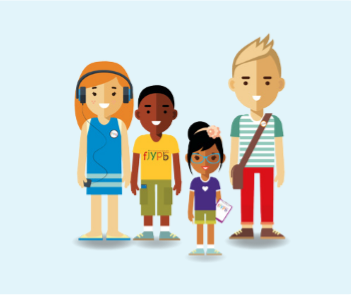 We represent children and young people’s views from across England and Wales to all stakeholders in family justice. We share our opinions and experiences in work carried out both within and on behalf of the Family Justice system, including at conferences, training events and responding to Government consultations on request. We take part in interviewing new members of staff across the Family Justice system. Developing a deeper understanding for the diversity and needs of all young people who go through family courts. We undertake inspections of various organisations to ensure that they offer a child inclusive service. To work collaboratively with the Department for Education to increase awareness within schools of issues facing children and young people in family justice and of how schools can support them. To raise awareness of the impact of family breakdown on children and young people’s mental health and how professionals can support children and young people build their own resilience. To raise awareness of the impact of domestic abuse on children and young people. Working with agencies to develop understanding and practice as to how and when a child should be involved in their case. Explore alternative funding options and ways to make the FJYPB more sustainable. Find out more about the FJYPB and check out our resources.